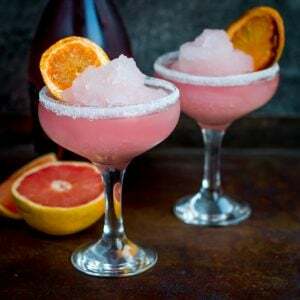 Frozen Pink Grapefruit Prosecco Cocktail – A pretty, cooling drink to kick off Spring! 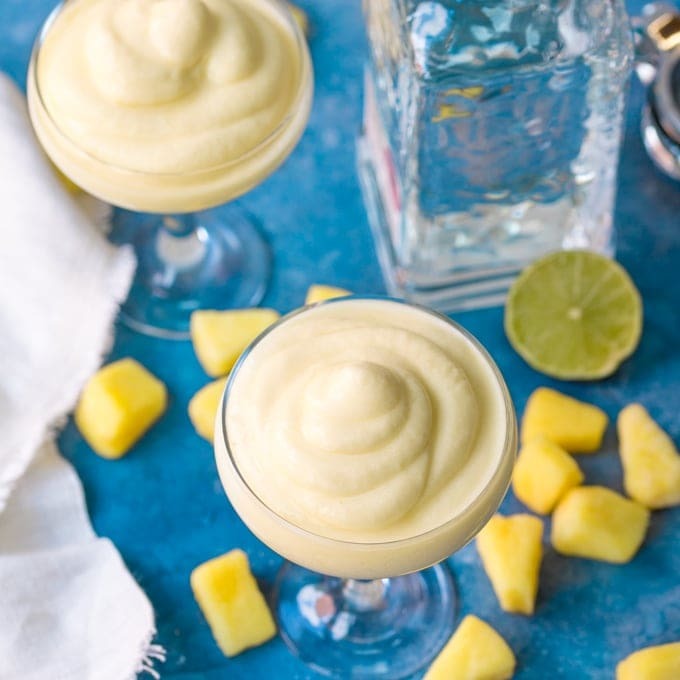 It’s March, it’s a tiny bit sunny, and I’m celebrating with frozen cocktails. Woo hoo! Chris was making instant sorbet the other day (basically whizzed up frozen berries) for dessert, and I thought ‘I’m sure we could make something much more interesting with ice and that blender‘. So the good intentions of the frozen fruit resulted in two or three glasses of prosecco-and-vodka-based frozen cocktails. All roads seem to lead to chocolate or cocktails at the moment. I guess being on a diet does that to a (greedy) girl. I haven’t done great with the healthy eating thing this week. Lots of blog work and looming deadlines seem to have conspired to knock me off track. I’d like to say I’ll be good starting from tomorrow, but it’s my birthday, and I think that calls for more chocolate and cocktails. But who starts being good on a Friday? Especially the Friday after you turn 38. Gulp. How depressing. I’ve been shortlisted for a Great British Food Award!! The awards were launched in 2014 to celebrate the country’s finest home-grown ingredients, as well as the hard-working folk who produce and cook with them. There are lots of categories ranging from best restaurant to best cookbook – judged by a team of celebrity judges. 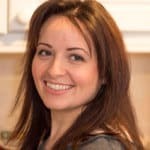 Readers also get to vote across 20 foodie categories (I’m in the Best Food Blog category), and by entering a vote, you’re in with a chance of winning one of 36 prizes! Right, time to stop beaming like a mad woman and get on with the recipe. Candied grapefruit slices to decorate to make these, sprinkle small slices of grapefruit with light brown sugar, then grill/broil or dry fry on a high heat for 1-2 minutes, turning once until lightly caramelised. 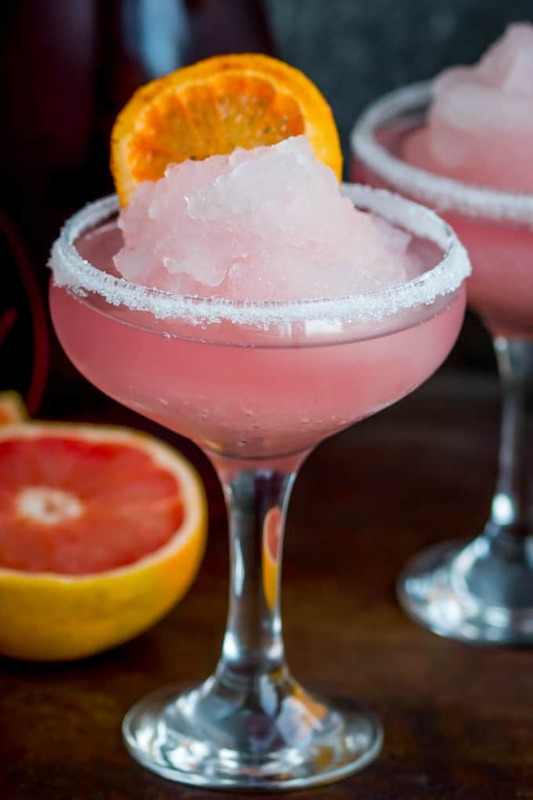 Leave to cool for a few minutes before making a small slit in the grapefruit slice and placing on the rim of the glass. Pour the sugar on a flat plate. 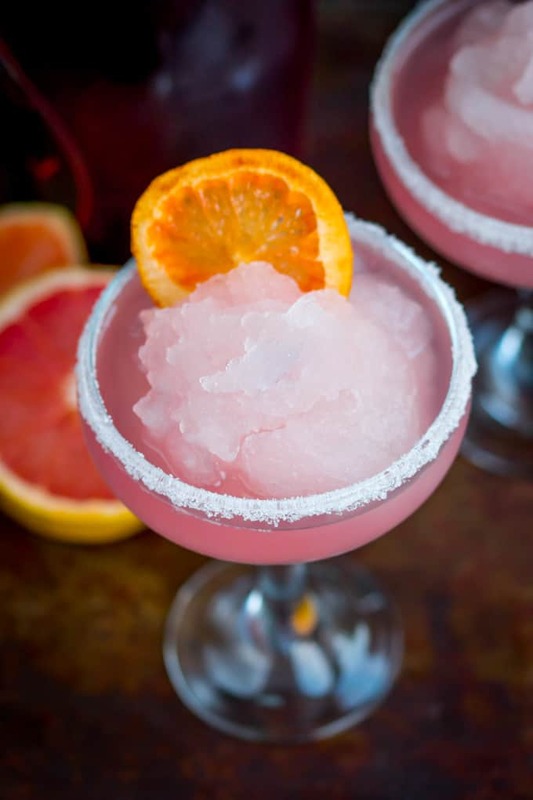 Dip the rim of the glasses in grapefruit juice, then dip in the sugar to give each glass a sugar-rim. 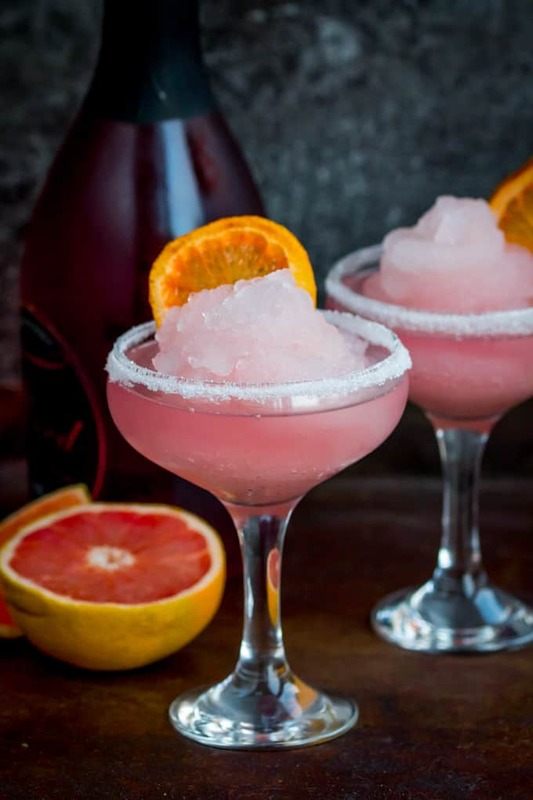 Pour the remaining grapefruit juice, vodka and ice into a blender. Blend until the mixture turns to slush. You may need to scrape down the sides a couple of times. 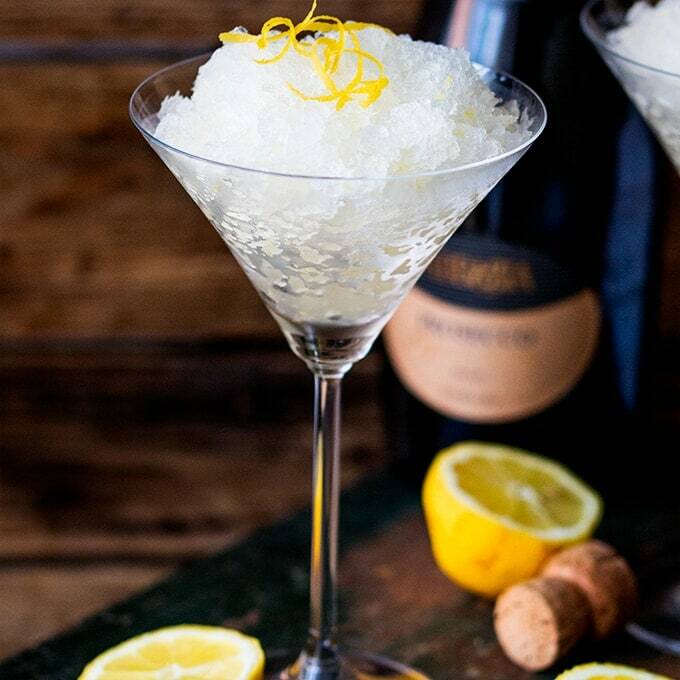 Spoon the slush mixture into the four glasses and top with the pink prosecco. 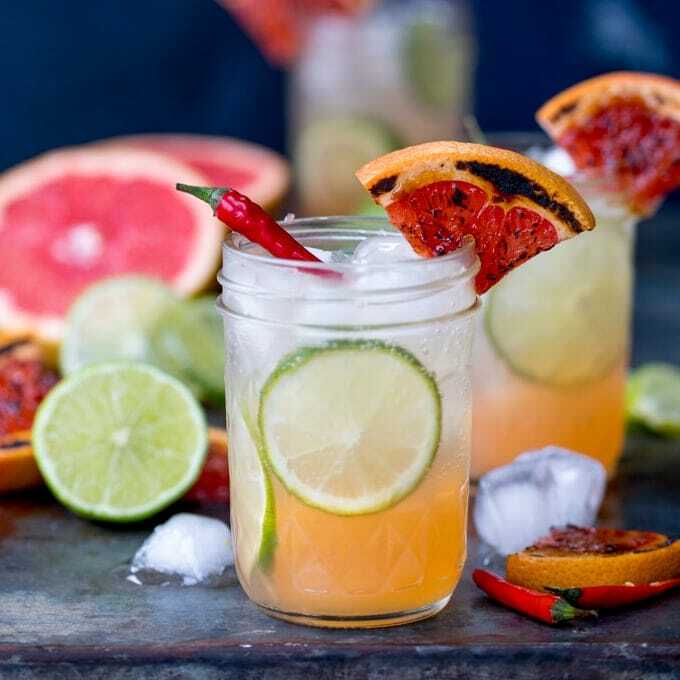 Decorate the glasses with a slice of candied grapefruit and serve immediately. Nutritional Information is per serving, without the candied grapefruit slices. There’s not a chance that I should miss doing this recipe myself. 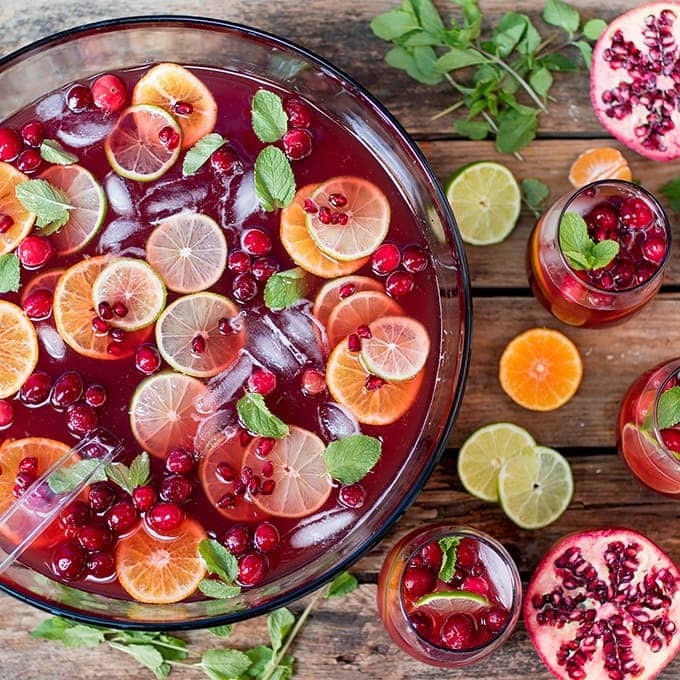 This is a great addition to my cocktail recipe list and something that can really whet my friends’ cravings during weekends at my patio. Thanks for including this, Nicky! Nicky, you created the perfect anthem for my childhood friend and I . I am a proseco fan and she is a pink flamingo person. We’ve just decided that this would be our cocktail. Btw, would it be good without the vodka for a lighter version ? What do you think ? I tried to vote for you, but the competition is only open to U.K. Residents and I live in France. Hope you win cuz I love what you do!